Angèle Sherwood-Lawless began her violin studies with Anna Tringas at the age of eight. She attended The Meadowmount School for Strings Encore during the summers studying with Linda Cerone, and continued her studies with Cerone and David Updegraff at The Cleveland Institute of Music. She currently plays with The Atlanta Opera, John’s Creek Symphony Orchestra, is principle second with the Georgia Symphony Orchestra, and subs with The Atlanta Symphony and The Atlanta Ballet orchestras. She often plays lead with many shows at The Alliance and Fox Theaters and The Cobb Energy Center. She has also served as concertmaster of The Ohio Light Opera, The Atlanta Pops, The Atlanta Bach Choir, The Lyric, Cobb Symphony Orchestra and the Georgia Sinfonia. She has played in many orchestras throughout the South East and Cleveland areas under the baton of such great conductors as Christoph Von Dohnanyi, Pierre Boulez, Robert Shaw, Robert Spano, Lorin Maazel, and Yoel Levi. Mrs. Lawless can also be seen on the stages of Chastain Park, The Fox, Philips Arena sharing the stage with such artists as Rod Stewart, Page and Plant, Earth, Wind and Fire, The Moody Blues, Barry Manilow, Sarah McLachlan, Natalie Cole, Jennifer Hudson, Josh Groban, Amy Grant, Mannheim Steamroller, David Byrne, Harry Connick, Jr. and Diana Krall. She has also recorded with the artists P!nk, Amy Grant and Atlanta’s own Joe Gransden and is the soloist that can be heard on the CD Forbidden Forest: Impressions of George Winston. After teaching in several schools in the Atlanta area including Agnes Scott College, The Lovett School, and The Georgia Academy of Music she now keeps a studio in her home. Some of her students’ accomplishments include scholarships to Loyola, Florida State, Kennesaw State and Southern Methodist Universities, many participants in the Georgia All-State Orchestra program, and positions in the Georgia Youth Symphony, Atlanta Symphony Youth Orchestra, and the Metropolitan Youth Symphony Orchestra. Mrs. Lawless resides in Marietta, GA with her wonderful husband and percussionist, John and their two children, Hannah and Bryden. 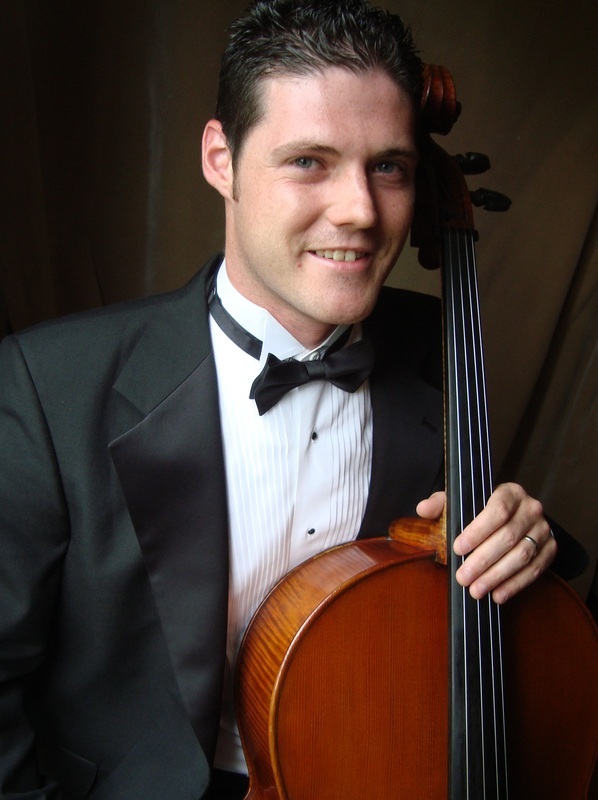 An active performer, Kevin Chaney has played with many orchestras including: Macon Symphony, Atlanta Pops, Hilton Head Symphony, Tuscaloosa Symphony, Valdosta Symphony, Cobb Symphony, Albany Symphony, Capitol City Opera, and the Ocmulgee Symphony. As a contracted violinist with Quality Concerts, LLC, he has toured extensively throughout the United States, Japan, and China on various concert tours. In addition to his extensive touring experience, he also plays frequently with many well known artists such as Sarah McLachlan and Trans-Siberian Orchestra. He also has appeared in movies and TV: Tyler Perry's Diary of a Mad Black Woman, Madea's Family Reunion, Joyful Noise, and TLC’s Say Yes to the Dress. In addition to his active performance schedule, Kevin teaches violin at the Atlanta International School and maintains a private studio. Kevin is originally from Atlanta and received his Bachelor of Music and Master of Music Performance degrees from Georgia State University under the tutelage of Tania Maxwell Clements, Christos Galileas, and Michael Palmer. Joli Wu, violist, a native of Los Angeles, California, began her viola studies at the age of 13, under the tutelage of Louis Kievman. She received a bachelor’s degree from the Juilliard School in viola performance, where she studied with William Lincer, and a master’s degree from Yale University, where she was a member of the Quartet-in-Residence, studying with the Tokyo String Quartet, as well as member of the New Haven Symphony Orchestra. Upon graduation, she moved to Cambridge, MA, where she served as a resident tutor in Currier House at Harvard University and performed frequently with the Boston Pops Esplanade Orchestra and the Boston Symphony Orchestra. Ms. Wu is the principal violist of the Atlanta Ballet Orchestra and a section member of the Atlanta Opera Orchestra. In the 2008-09 season, Ms. Wu served as acting principal violist of the Atlanta Opera. In addition, Ms. Wu has appeared as a soloist with numerous orchestras, including an upcoming engagement this Fall with the Atlanta Community Symphony Orchestra. She has also received myriad prizes and fellowships, among which include the Aspen Fellowship, and the Tanglewood Music Center Fellowship. Moreover, Ms. Wu performed and recorded with musicians such as Bruce Springsteen and Aerosmith, among others. This summer, Ms. Wu will be performing at a music festival in Nessonvaux, Belgium, while also giving masterclasses and coaching chamber music. Ms. Wu currently teaches violin and viola in her private studio and at the Georgia Academy of Music. She also coaches chamber music and technique classes at The Westminster Schools. Daniel Holloway earned his Bachelor of Music Performance degree from Columbus State University and his Master of Music Performance degree from Southern Methodist University. Having played cello for over 16 years, he has studied under Nan Maddox, Martha Gerschefski, Andre Gaskins, and Andres Diaz. He currently holds positions in the Chattanooga, Columbus, Greenville, and LaGrange Symphonies as well as the Savannah Philharmonic. A passionate educator, Mr. Holloway maintains a small private studio of students in the north metro Atlanta area. Mr. Holloway has also performed with popular music groups including Trans-Siberian Orchestra, Queensryche, Sarah McLachlan, Video Games Live, The Sixxies and others. In addition to performing classical music, Mr. Holloway also enjoys playing Bluegrass and other fiddle music on his five string cello and guitar. He and his wife Pam reside in Canton, GA with their daughter Hannah and their two dogs Tex and Dakota. Double Bassist Maurice Belle is an accomplished, versatile musician who has honed his craft for 20 years and has performed at major venues throughout the United States and abroad. A frequent contributor to several New York- based orchestras, he regularly performs at Carnegie Hall, all 5 boroughs and the tri-state area. In October 2010, he toured across the Midwest as the principal bassist of the Sphinx Virtuosi. During the summer of 2010, he attended both Spoleto USA in Charleston, South Carolina and the National Repertory Orchestra as co-principal bassist in Breckenridge, Colorado. Maurice traveled to the Pacific Music Festival in Japan in the summer of 2009, where he performed in Sapporo, Osaka and Tokyo. While in Japan, he worked with the major conductors Christoph Eshenbach, Michael Tilson Thomas, played with members of the Vienna Philharmonic and renowned pianist Andre Watts. As the principal bassist for many groups, he performs with the Harlem Symphony Orchestra, Bronx Opera, the Orchestra of the Bronx and among several others. He has also participated in various music festivals, including the National Orchestral Institute for two summers at University of Maryland and the Brevard Music Center in North Carolina. Whether playing in a symphony orchestra, a country band, a rock band, or musical theater, Gabriel Monticello is always professional and brings a sense of excitement to every performance. His love for all types of music is evident in the eclecticism of his musical career. Gabe received a Bachelors degree in Music Performance from Valdosta State University where he studied Kontrabass with Dr. James Barket and studied Composition with Dr. Douglass Spaniol, Mr. Ed Barr, and Dr. Tayloe Harding. 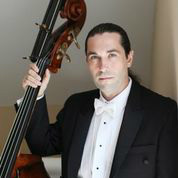 As a bassist, Gabriel was a member of the Valdosta Symphony Orchestra, the Albany Symphony Orchestra and the State Musical Theater of Georgia. Gabe earned his Masters in Music from the University of Florida where he studied bass with Mr. Kevin Cassiday and studied composition with Dr. Budd Udell, Dr. Paul Richards, and Dr. Mark Engebretson. He also studied Electronic Composition with Dr James Sain and served as principal Bass for the University of Florida Symphony and the Gainesville Chamber Orchestra. bassist of the Gainesville Chamber Orchestra, and a member of the Albany Symphony Orchestra, and The Chamber Cartel. Gabriel also performs with the Valdosta Symphony Orchestra, Savannah Philharmonic, Chamber Cartel, and the Macon Symphony Orchestra. He has played with many artists including Sarah McLachlan, Chris Tomlin,Walfredo Reyes Jr, and János Starker.